Unique is the word to describe this beautiful handcrafted piece. 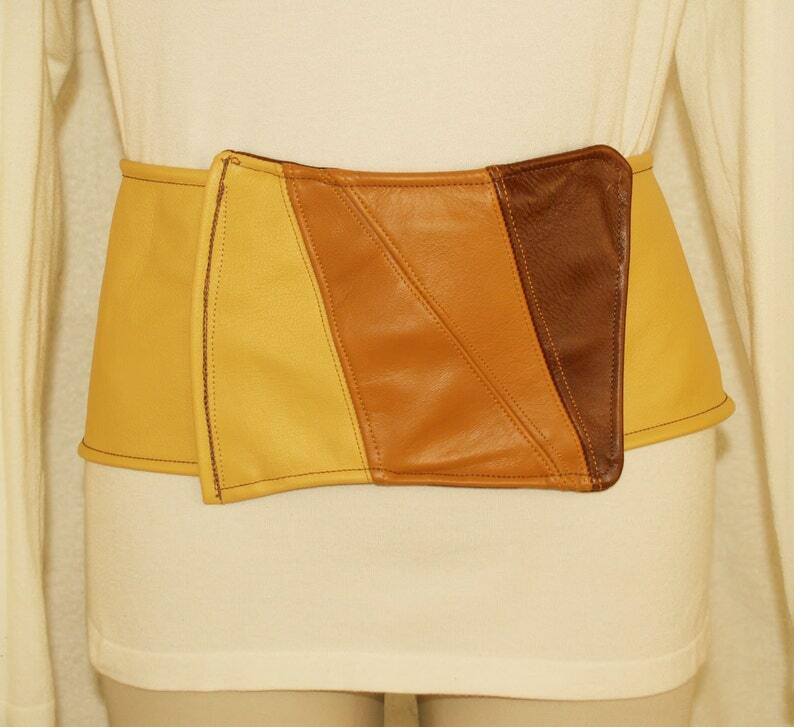 Warm colors, patchwork “buckle” and contoured design will add extra punch to your wardrobe. This is the one to own. Hidden metal snaps. Waist 34". Divinely inspired.